From late June and beyond, it’s high time for hydrangeas! By then, your plants – in a normal year – should be flowering. Are yours showing their traditional big blue flowers this year like the one in this photo? Maybe yes, maybe no? Why is that? There are two main reasons big leaf hydrangeas (macrophyllas) don’t flower: one can be attributed to us, the gardeners – what we do. Gardeners have been known to prune at the wrong time and cut the flower buds off these plants. Your best bet is not to prune big leaf hydrangeas at all. They usually don’t need it. Gardeners might also be fertilizing this plant improperly. If it gets too much nitrogen, it will makes leaves and not flowers, especially if it sits adjacent to a lawn that gets fertilized. 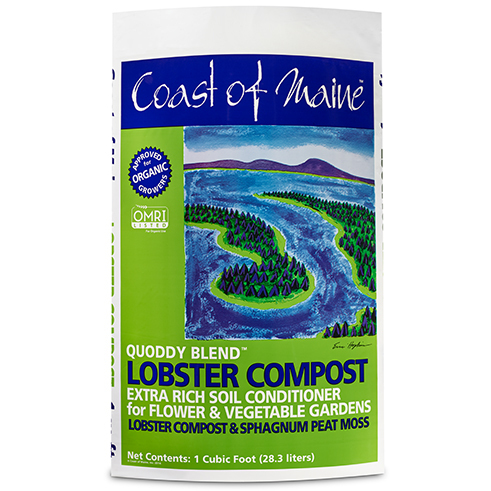 Rose fertilizer is an excellent amendment as is compost like Coast of Maine Lobster compost. The other thing we do is give it too much water when it looks wilted. The best thing to do when that happens is to walk away and wait until the sun is off the plant to give it time to re-hydrate. (Usually it recovers and pulls moisture back in) When a big leaf hydrangea gets too much water, it will make leaves and not flowers. The second reason big leaf hydrangeas don’t bloom is the weather. Cold temperatures before the plant hardens off,(deep winter cold, early cold snaps and the like) kill the flower buds that get set after August 1. Those buds need to make it through to bloom time so you can get the flowers you enjoy so much. It’s a dangerous and tricky destiny for them as Mother Nature throws all kinds of obstacles in their way. As gardeners you can insulate your plant in a wire cage stuffed with leaves or erect a screen to protect them from icy winter winds. Plants that are protected by some kind of persistent winter foliage from Alberta spruces, rhododendrons, junipers, oaks, beeches, etc. do well. Another kind of protection can come from sheds, houses, fences, and other structures. The last way you can have better luck getting hydrangea flowers is to choose plants that give you better odds. The plants that do that are hydrangeas that are known to rebloom. Those are plants that even if the winter buds get killed off, will generate new buds during the growing season, that will actually flower during the summer those new buds are created. (That way you get flowers before the season closes) Your garden center can direct you to which ones they have that do that. The second way you can increase your odds of getting flowers is to buy hydrangeas with “serrata” in their name. These are hydrangeas that originate from the mountains of Japan and are more hardy and accustomed to cold temperatures. 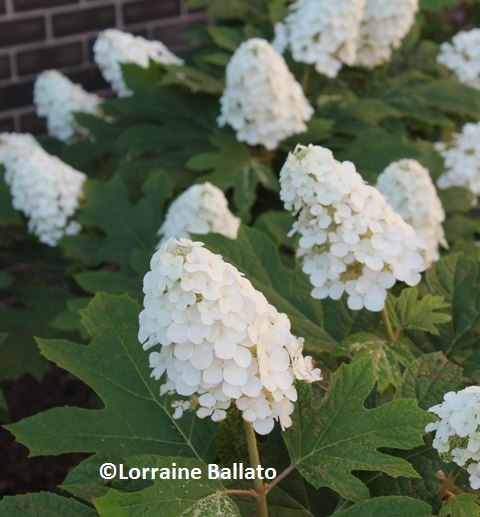 Oakleaf hydrangeas are also more reliable bloomers and perform better in years when bigleaf hydrangeas don’t. They also have very interesting foliage that turns a wine red color as the temperatures cool off. And of course, you can select hydrangeas that bloom on current year’s growth like Incrediball® Blush Hydrangea arborescens or Fire Light® Hydrangea paniculata They are truly foolproof! No amount of deer browse, pruning, and cold temperatures will get in the way of them producing spectacular flowers each season. All you have to do is choose the ones you want. 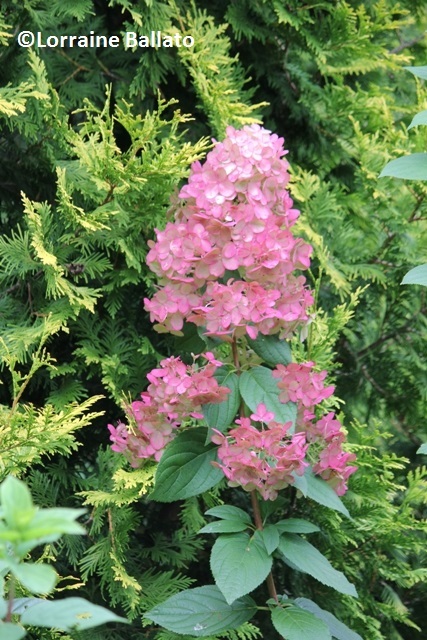 Hi Annette, for those types of Hydrangea, we’d recommend our Penobscot Blend Organic Planting Mix. It is a perfect mixture of salmon and blueberry compost, tiny mussel shell fragments, and peat. 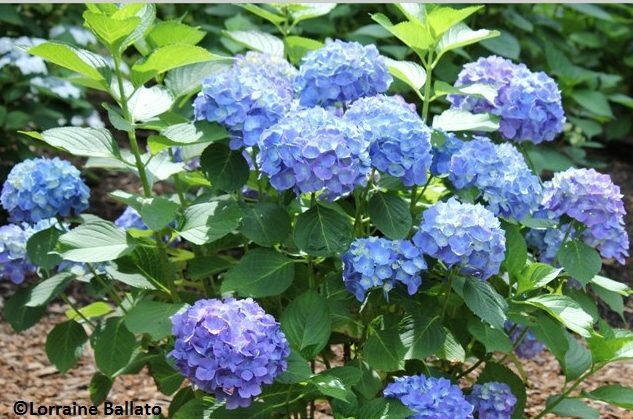 It has a lower pH, which the Hydrangea LOVE, and the organic nutrients from the mussel shells, salmon and blueberries won’t require you to add any additional fertilization. Thanks for writing in! I always use the amazing bumper cop for flowers and veggies but what about fruit trees? We live in NJ. Thanks a lot. Hi Edna, YES! It would be perfect for fruit trees too! we bought a house last year in the Hudson Valley in New York State that hadn’t been lived in for about 5 years. there are 2 hydrangeas in the back yard that are growing nicely but no sign or flowers either summer- no buds even. they get sun- and water only when it was very hot- over 90 with no rain…. i just read your article about why hydrangeas might not flower but it doesn’t seem to be any of those- mayb the cold weather but there were no buds last year and none so far this year..
I’m assuming your plants are big leaf hydrangeas, the most popular kind. There are many reasons they don’t bloom in your area, the most common of which is being pruned at the wrong time and inhospitable weather conditions but there could be other causes. Big leaf hydrangeas shouldn’t be cut from August 1 until you see them bud up in the early summer when you are certain which buds have been killed by the winter. As for winter protection, where you have your plant sited will make a big difference in its ability to withstand cold and fluctuating temperatures. Plus you can help it by taking extra steps in the fall to insulate it. One way around this hydrangea angst for cold climate gardeners is to ensure your big leaf hydrangea is a re-bloomer. That way, when you miss the first bloom cycle, you have a second chance before the season ends to get that second round of flowers and not just another green bush for the entire season. “Why doesn’t my hydrangea bloom?” and “winter protection” are the two biggest issues with Hydrangeas for cold climate gardeners. I address both of these in my best selling book, Success With Hydrangeas: A Gardener’s Guide available at Amazon and other booksellers. 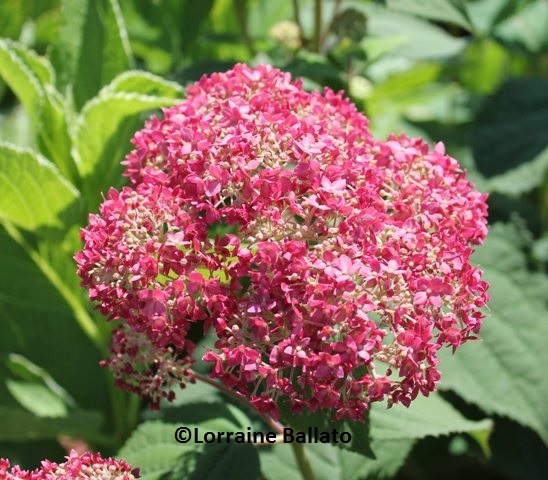 You can also subscribe to my hydrangea blog at http://www.lorraineballato.com.